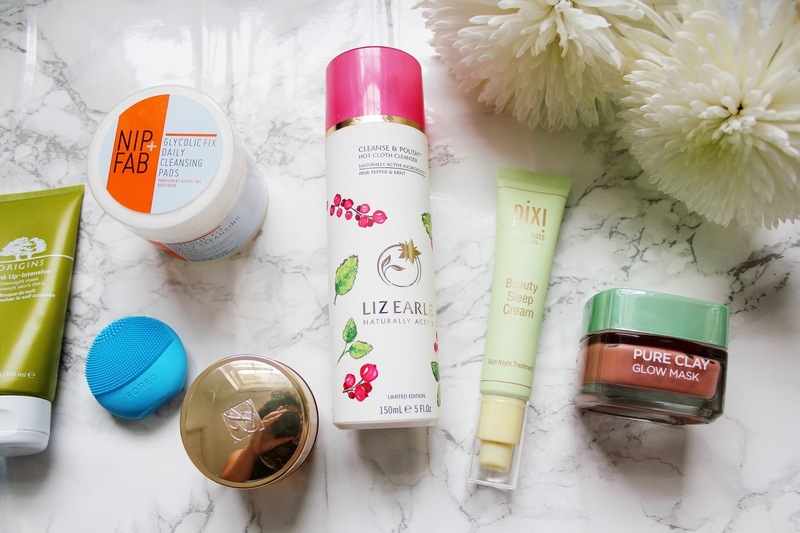 Some of these products are budget but there is also a beauty tool and a couple of ‘higher end’ purchases. 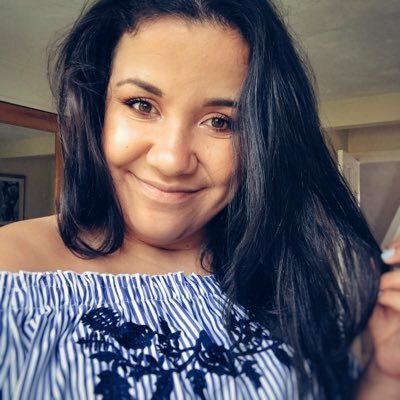 I would never recommend a higher end product unless I’ve tried and tested it for a long time to really get to grips with the benefits the product has. If you’re looking for great skincare I would recommend any Estee Lauder, Nip+Fab, Origins and Pixi products. 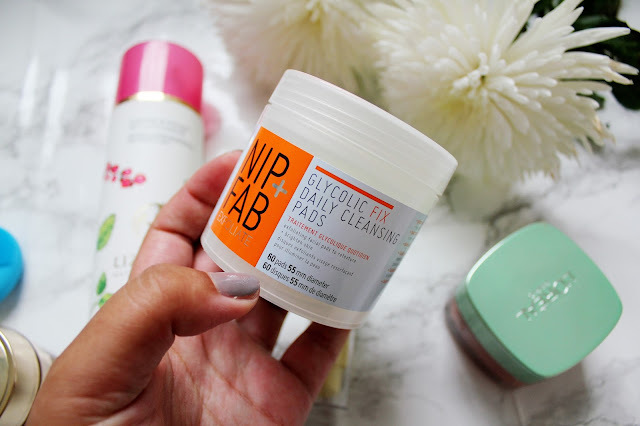 Nip+Fab is a beyond amazing brand and their products always impress me. 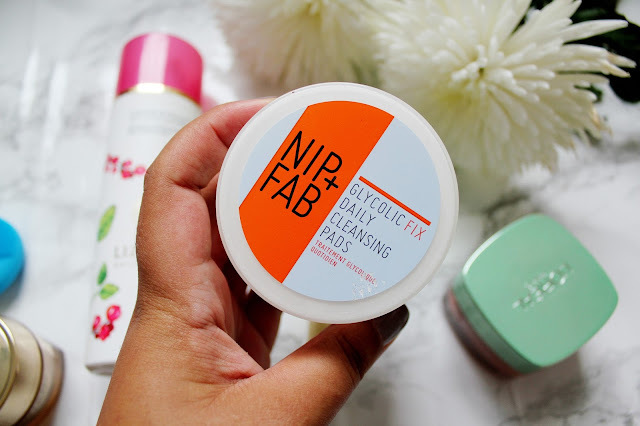 One of my favourite Nip+Fab products are these Glycolic pads and they are absolutely amazing for adding hydration back into your skin or for being a base for your make-up (for when you want extra clean skin). These pads make my skin look brighter and feel smooth. I would recommend using these a few times a week though as too my glycolic acid is not good for your skin. 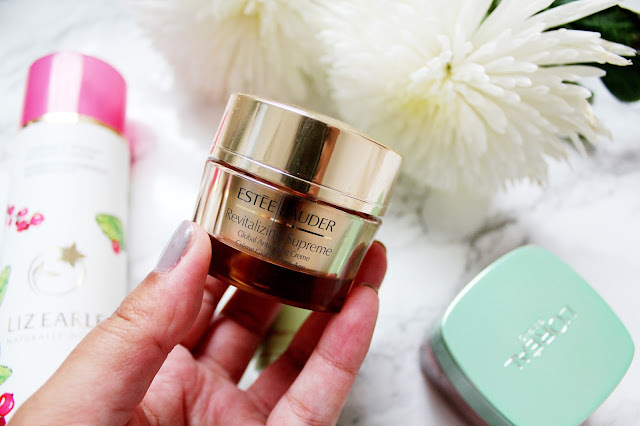 When it comes to spending a little bit more money on skincare, I would 100% recommend trying out Estee Lauder skincare. I am dying to try out a full size sample of the Advanced Night Repair (after finishing some small samples I owned) and I use the Day Moisturiser pretty much every day. When my skin needs that extra little boost I like using the revitalizing supreme. 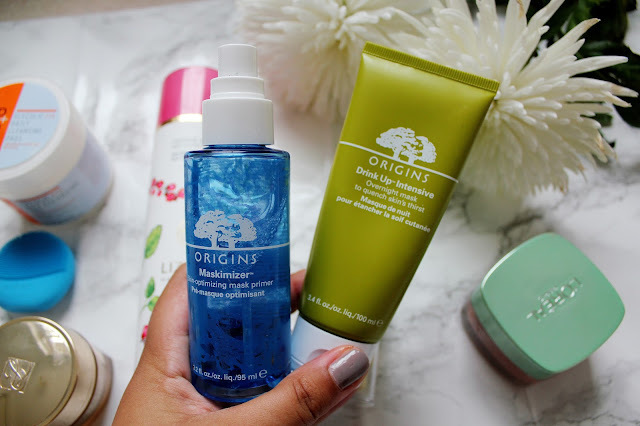 This helps to make your skin firmer, smoother and feel more hydrated. 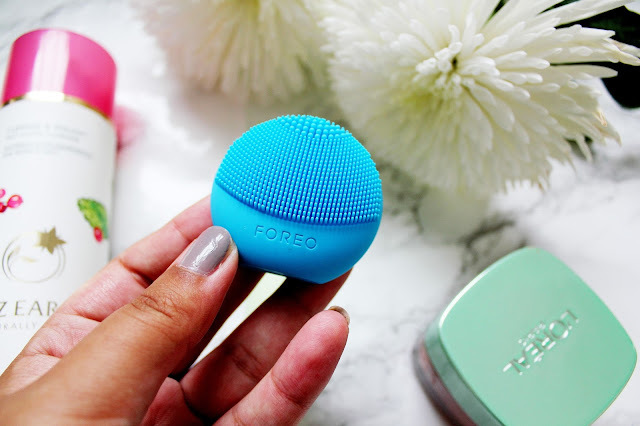 If you’re looking for a budget beauty tool to use, look no further than the Foreo Luna Play. I’ve owned a Foreo for about a year I think and I love using it, but when you’re on the go it’s not the easiest product to travel with, as you have to charge it up. However, Foreo have recently launched the Luna Play and it’s a budget friendly buy at £29. I love using this when I’m exfoliating my skin and the Foreo leaves my skin feeling so smooth. I like to refer to this facemask as the £5 miracle. I absolutely adore this mask from L’Oreal; it’s so easy to use a little goes a long way. Depending on your skincare problem there is also a Purifying Mask and a Detox Mask. 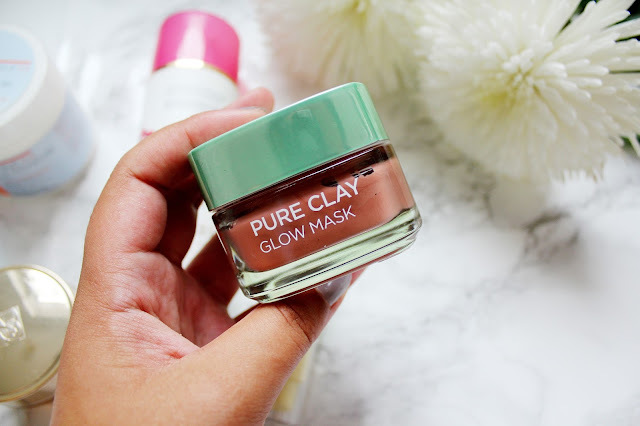 I love using this mask when I feel like my skin needs a bit of TLC or when my skin feels a little bit on the dull side. If you’re a fan of Caudalie you’ll love this facemask when you want to add more moisture into my skin. 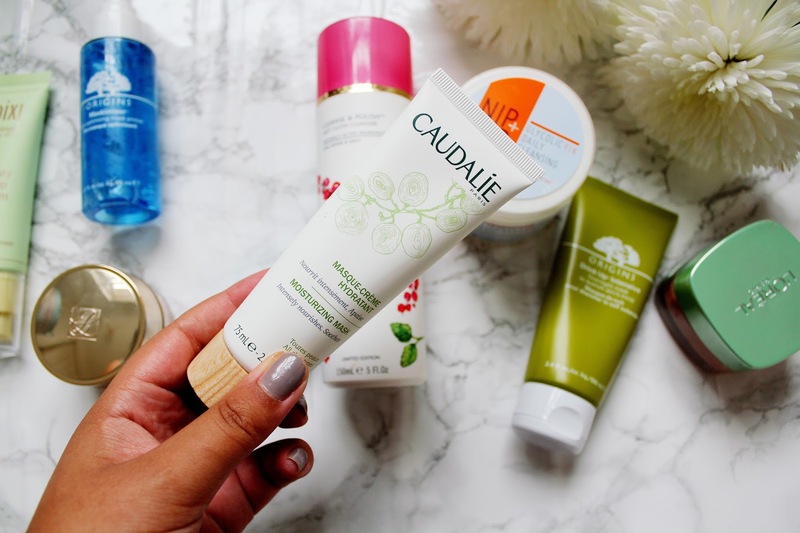 Caudalie products always really impress me and I’ve never tried a Caudalie product that I don’t like. I use this product about once or twice a week and it really helps rehydrate my skin and soothes the dry skin patches. 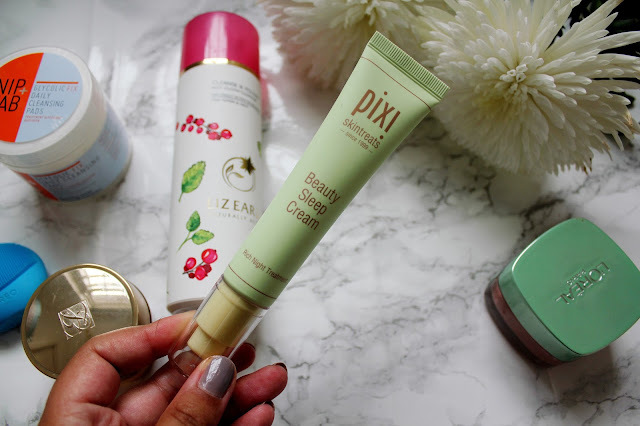 This product from Pixi is definitely my most recent discovery when it comes to skincare but I absolutely love this sleep cream. After cleansing and toning my skin, I like to apply a thin layer of this onto my face for an overnight treatment. This cream is fast absorbing, nutrient-rich and helps to protect and nourish your skin while you sleep. I’ve raved about this product so many times on my blog. 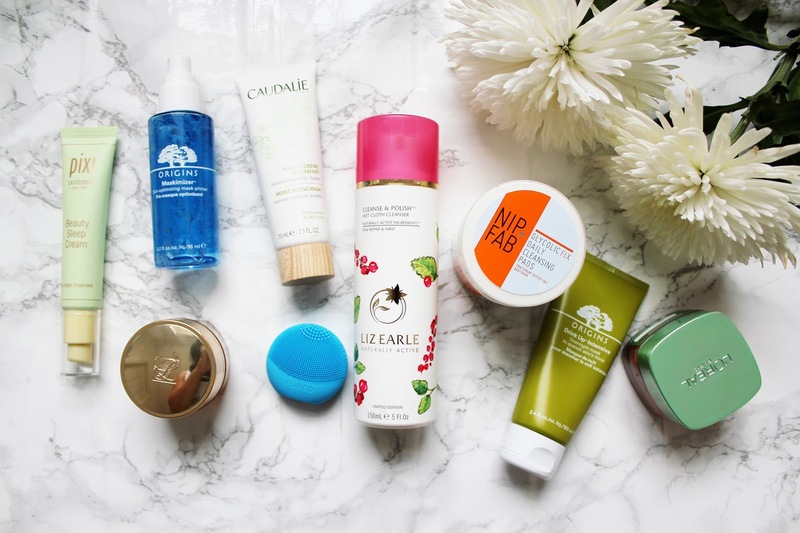 I use my Liz Earle cleanse and polish pretty much everyday and have done for about 10 months now. I love using this to take off my make up (or for an extra cleanse after removing my make-up) you can check out some of my posts featuring the cleanse and polish here and here. The origins masks look and sounds amazing!